1820’s The population of Cape Town had exceeded the 18,000 mark. The town was still crowded close to the Heerengracht and neighbouring streets with their canals, which ‘stank abominably’ in the dry season, but served in winter to carry off, sometimes in raging torrents, rain water and drainage. Unsightly buildings occupied the beach with its panoramic view of the bay. The pleasant promenades in the main streets, next to the water canals are lined by shady trees, ended abruptly at Strand Street. Beyond, in the vicinity of the beach, was the old jail, with its treadmill, and the Customs house. The wooden wharf, even in Caledon’s day was in a ‘tottering and precarious state’. The Heerengracht itself, ‘the Mall of Cape Town’, with its broad canal and picturesque footbridges, had a proper surface only as far as the corner of Castle Street. The Parade, favourite resort of fashionable pedestrians with their children, was a pleasant meadow through which water meandered lazily. In the Town, three out of every four inhabitants are tenants. Owner occupancy tends to dominate in the commercial and wealthier districts, such as the Heerengracht, the upper ends of Strand and Wale streets, Green Point as well as a number of residences in Long, Castle, Hout and Longmarket streets. The poorer districts around the waterfront, Constitution Hill, Roeland Street, and the lanes and alleyways between the main thoroughfares are almost all owned by landlords. Some of the steegs (alleyways) are owned entirely by one person. Many of the ‘hire houses’ that line the steegs are in an appalling condition. No other town has in comparison to the size of its population, such a large number of lovely and attractive houses as Cape Town, but all this prosperity was largely superficial. The British had asserted their naval supremacy, and crippling losses had been sustained by Dutch shipping. Almost as soon as Great Britain recognised the independence of the United States of America by signing the Treaty of Versailles in 1783, hard times lie in store for the Colony of De Kaap. The internal postal service also developed. 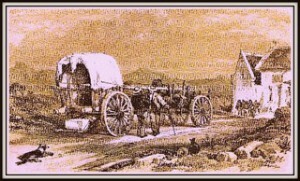 The Batavians had introduced a postal service between Cape Town and Swellendam and Tulbagh. There was a less regular service between Cape Town and the outlying districts. The old Dutch system – abolished by the Burgher Senate in 1804 – whereby the post had been carried by Hottentots who relieved one another at various places as if they were running a relay race, was re-introduced by the British. But the system was not very satisfactory. The best residential area was still the Heerengracht, though, to the indignation of residents, shop fronts, with windows for the display of goods, were beginning to mar the harmony of a purely residential neighbourhood. Gradually homes were moved to parallel streets as far south as the Buitengracht. postage had to be paid according to distance now fell away, postal traffic increased enormously, and larger and stronger transport vehicles had to be used. Passenger services also improved because they too could make use of the postal transport facilities. Improved transport in the Colony was as important as the shipping connection with Europe. In Cape Town itself parcel carriers, descendants of slaves and apprentices, transported parcels. Like the taxis of today, they had stands where they waited to be hired. They were not forbidden to refuse to carry any parcel weighing less than 34 kg, nor could they refuse to carry anything not exceeding 90 kg, although they were not compelled to carry more. Their stands were in Greenmarket Square and Hottentot Square (Riebeeck Square), the wasteland between Adderley Street and Strand Street, and near the old jetty. The old manually drawn fire engine were replaced by a horse-drawn vehicle, but complaints were lodged frequently about the inefficiency of the service, the Governor himself on one occasion sending a written reprimand. 1820 Bertram House, on the corner of Government Avenue and Orange Street. It is built probably by Edward Durham, a contractor, who founded the firm of George Finlay and Sons of Cape Town. 1820 The Burgher Senate appoint Herman Schutte as inspector of buildings. 1820 The first Observatory in South Africa is established for the Admiralty. The Reverend Fearon Fallows arrived the following year to establish the Royal Observatory on rising ground between Papendorp, now Woodstock, and Driekoppen, now Mowbray. All documents issued from the office of the secretary of the Government would be in English. Six months thereafter all other official acts and documents would be in either English or Dutch and in English exclusively after the 1st of January 1825. Either English or Dutch would be used in the courts until the 1st of January 1827, after that date all judicial proceedings would be in English. The proclamation caused a great deal of dissatisfaction among the Dutch section of the population who were in the great majority and many of whom were unilingual. 1823 Work on the first lighthouse is completed at Green Point. The first printed press – Apart from the press that produced the Government Gazette in the Castle, the only other presses in the Colony at this time were those that were operated at the distant mission stations. In February, 1823, the Reverend Abraham Faure, a clergyman of the Dutch Reformed Church, and Mr. Thomas Pringle, the poet and deputy public librarian who had come to the Colony with the 1820 settlers, submitted a prospectus to the Governor for a monthly magazine which they proposed to publish alternately in Dutch and English. The infant press immediately proved itself a source of trouble to the autocrat Somerset. John Fairbain (1794-1864) Journalist and politician, and editor of the Cape Colony’s first newspaper, The South African Commercial Advertiser. He resists attempts by the governor Lord Charles Somerset to censor the newspaper. 1825 13th of October The first steamship to visit the Cape arrive in Table Bay. She is the Enterprise of 500 tons. Shops and schools are closed for the day, and a salute is fired from the Castle. 1825 Dr Andrew Smith establishes the SA Museum. 1826 5th of March, Lord Charles Somerset leaves the Colony. 1826 July, Dr James Barry safely delivers a baby by Caesarean operation: the first time this operation was ever performed in South Africa. He was a regimental surgeon in the British army who earned the promotion to become Medical Inspector for the Cape Colony. He had a smooth face and high-pitched voice, though there was no doubt about his skill as a doctor. 1827 October, The foundation stone of the St. Andrew’s Presbyterian Church in Somerset Road is laid. 1828 English become the only official language of the Colony. Important notices still appeared in the Government Gazette in both languages. 1829 1st of October The South African College opens, with an enrolment of some one hundred students. The opening takes place in the Groote Kerk, but the college itself is situated in rooms in the South African Orphanage, at the upper end of Long Street. It remained until its own building was erected in 1841 at the top of Government Avenue, adjoining the Lion Gates. It lies concealed behind the old white wall of the Company’s park for beasts of prey. It is called the Egyptian Building, and has remained unchanged throughout the years. Apart from the Gymnasium in Paarl, it is the only building in South Africa with this particular style of architecture. 1830 23rd April The Governor, Sir Lowry Cole, lay the foundation stone of the St George’s Cathedral, on St. George’s Day (Patron Saint of England). To mark the event Berg Street is renamed St. George’s Street. It is designed by John Skirrow and built by Herman Schutte. In order the fit into allocated ground, the Colonial Secretary, Colonel Bell, had altered the plan, by making the building longer and omitting the porches. It building was completed at the end of 1834. 1830 Sir Lowry’s Pass, over the Hottentots-Holland Mountains, is completed. This greatly improved communications between the town and the interior. 1830 Business premises and houses are given numbers. 1830’s A number of overseas insurance companies establish agencies in Cape Town and four local fire and life offices are also founded here. 1831 April, Oil lamps, provided and maintained at the expense of the householders, are installed in St. George’s Street. Soon thereafter, similar installations were effected on the Heerengracht. The majority of the people, and particularly the more well to do whose residences were in the Gardens and who seldom ventured out after dark, still thought street lighting to be unnecessary. 1831 The Cape of Good Hope Savings Bank open its doors. 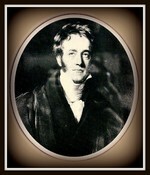 1832 10th of August 1832 Sir Lowry Cole retire and embark for England. Mid 1820 & mid1830 About two hundred and twenty-five merchant vessels visited Table Bay annually. The need for a substantial pier had often been discussed. At the time the only construction that led into the bay was the jetty that was built by Jan van Riebeeck. It was too far to leeward in winter gales for boats to reach anchored ships, whose anchor cables were in danger of parting. When, in July, 1831, six vessels were driven ashore with a loss of cargo valued at £40,000, the Government began the construction of a stone pier at the foot of Bree Street. Work was suspended on the instructions of the Secretary of State, who deemed the existing colonial revenues to be insufficient to warrant further expenditure of this nature. In the meantime, several large warehouses had been constructed in the vicinity in anticipation of its becoming a centre of loading and off-loading. This led to the area gradually developing into the mercantile centre of the town. 183217th of September, permission is granted for a mass meeting to be held in the Commercial Exchange Building, to discuss slave legislation. After the meeting two thousand slave owners marched in procession to Government House to voice their dissatisfaction. Tension among the slave-owners at that time had been so great that it was a relief when the Emancipation Act was finally passed by Parliament in London. 1833 April, J. Syme erects a gas lamp outside his house in St. George’s Street. Gas had been introduced, for outside illumination, in London thirty years earlier, and was therefore no new idea, when in the Cape, some enterprising people began to experiment with the production of coal gas. 1834 1st December, All slaves over the age of six years are to become apprenticed to their former masters for four years. Special magistrates wouldd to be appointed. A sum of twenty million pounds is voted to compensate the slave-owners in the nineteen British colonies where slaves are kept. A committee appointed by the Governor had put the value of Cape slaves at just over three million pounds. The compensation paid out, was not much more than one million pounds, and it was payable in London only. This meant a further increase from 18 per cent to 30 per cent, in agents’ fees for transferring the money to Cape Town. 1834 16th of January, the Mount Stewart Elphinstone arrive in Table Bay. Among her passengers are the new Governor, Major General Sir Benjamin D’Urban, his family, and Sir John Herschel. 1834 January, Thomas Maclear, who organised its astronomical, meteorological and magnetic observations on a routine basis, succeeded the Reverend Fearon Fallows at the Observatory. Maclear’s Beacon, on the highest point of Table Mountain, keeps his name alive. It was put up during a survey to determine the size and shape of the earth. Maclear was a friend of David Livingstone and of other discoverers and entered fully in the public and social life of the town. In 1860 he was knighted for his services; he retired ten years later. Thomas Maclear. He was an artist whose works until quite recently remained practically unknown to the world at large, but who had considerable influence locally. He was a self-taught man of the school of the English picturesque watercolour tradition. As a recorder of the early Victorian scenes, he had no equal in the Colony. He lived at the Cape for thirty-five years, and returned to England in 1868, leaving a rich heritage of almost seven hundred original watercolours. Today reproductions of his work are found in many a Cape home and his name has become a household word. Pictorially, we know more of this period than of any previous Cape period. 1836 The Cape of Good Hope Steam Navigation Company is formed to develop the coastal trade between Cape Town and Port Elizabeth. The Company’s only steamship, Hope, became a familiar sight in Table Bay. She ran aground four years later. 1837 20th June, Queen Victoria’s accession to the throne is received with little enthusiasm at the Cape. The Colony was a late addition to the Empire. Although the 1820 Settlers had arrived seventeen years earlier, other British immigrants were slow in coming and were never attracted in overwhelming numbers. News from England was in any case stale by the time it reached the Cape. Word of the accession of Victoria reached Cape Town two and a half months after the event. As the Queen had to be proclaimed in all her possessions round the world, it was announced in the Press, that in Cape Town this would take place in the Town House on 12th September, at one o’clock. 1837 & 1838, The beginning of the Great Trek. An emigration from the Colony. Many of the trekkers themselves were the sons or grandsons of the burghers of the town of Graaff Reinet, where republican ideas had stirred for over forty years. Others were motivated by a desire for land, and all held grievances against the British. They believed the government only listened to the missionaries who in turn appeared bent on the destruction of the whites. 1838 January, Sir Benjamin D’Urban is dismissed, for refusing to suffer in silence, the reversal of his frontier policy. 1838 A number of bridges are built over the canals that run down the centre of the streets in the central area of the town. At this time also, some of the canals are paved.